Fill out the form with any questions or inquiries you have for the sales consultants at Landings at Andover. You can also call or chat with us for immediate responses. Selling from Andover Crossings: 18488 Jaden Drive, Westfield IN 46062. The planning that went into The Fifth Avenue shows. 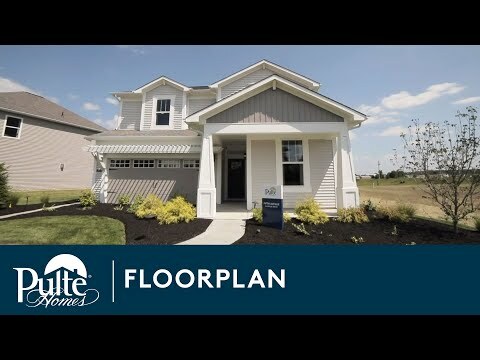 The wide Everyday Entry® connects to a Pulte Planning Center®, and the kitchen (with central island and large corner pantry) opens to an outdoor living area, café space, and naturally lit gathering room – giving families lots of options. An upstairs loft is well placed, so kids can play without disturbing the serenity of the Owner’s Suite. Step inside Fifth Avenue to see the Life-Tested Home Designs® with more usable space where you want it most. So you live the way you want to live. The Fifth Avenue is family living at its finest, with the kitchen opening out to the gathering room, dining area, and adjacent Pulte Planning Center® for organization and work space. Upstairs every bedroom has its own walk-in closet, plus 9-foot ceilings. Downstairs, homeowners can choose to change the flex room to a den or additional bedroom. The 1st floor of the Fifth Avenue impresses with open concept living. The kitchen has plenty of storage and overlooks the gathering room and dining area. All bedrooms and loft located on the second floor, make this home ideal for growing families. Kohler® – Master Bath includes a vikrell shower unit with shower door per plan. Take exit 41, and turn right on Frost Rd. Exit at OH-306 and turn right on OH-306/Chillicothe Rd. Go about 6 miles and turn right on Barrington Blvd.